In Monday's question period, much of the back-and-forth concerned the insinuations from the Prime Minister's Office of wrongdoing on the part of the Chief Justice in striking down Justice Nadon's appointment to the Supreme Court. What follows are eight questions that arise from this whole affair. In Monday's question period, much of the back-and-forth concerned the insinuations from the Prime Minister's Office of wrongdoing on the part of the Chief Justice. Regrettably, as is too often the case in Question Period, there were few answers found in the responses of the government -- and that which was said in reply only raises more questions. The series of events is fairly straight-forward, despite the government's attempt at dissembling. 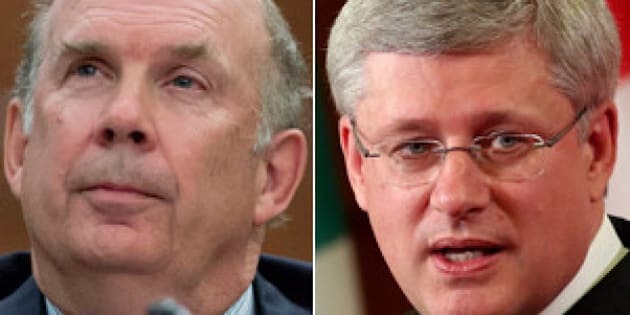 During the consultations surrounding the nomination of Federal Court of Appeal Marc Nadon to the Supreme Court of Canada, the Chief Justice called the Minister of Justice -- and a call sought with the Prime Minister -- to raise the question of whether federal judges are eligible for Quebec seats. While the top court eventually found that Justice Nadon did not meet the statutory requirements specific for Quebec judges, at first the Prime Minister's Office suggested this call may have happened after the legal challenge to Mr. Nadon's eligibility was filed, in which case it would be woefully inappropriate for any conversation to occur between the government and a sitting justice as the matter was before the top courts. It is now conceded that the call occurred in July -- long before Mr. Nadon was even nominated, let alone officially appointed in October. 1)	If the Justice Minister and/or Prime Minister thought there was a problem with the Chief Justice's conduct last summer, why didn't they do or say anything until now? It has been ten months since this July call occurred and until last week not a word was spoken by the government. Indeed, the Minister spoke of the Chief Justice's involvement in consultations several times before the ad hoc committee presenting Marc Nadon to Parliament and omitted any reference to the call. Simply put, there was ample time to raise the issue. Indeed, it would have been an option for the government to request the Chief Justice recuse herself given she had any involvement whatsoever in the selection process, without even mentioning the call. Yet, the government now -- out of the blue -- seeks to discredit and tarnish the Chief Justice with a most scurrilous accusation of wrongdoing. If this were such an issue, why didn't the government action it when it could have, or did it realize it simply had no legitimate case or cause for concern? 2)	The Justice Minister publicly acknowledged in August the law on appointments needed to be changed -- so why didn't he do anything? Specifically, Minister Mackay told Postmedia "There are provisions right now [of the Supreme Court Act] that could be interpreted as excluding federal judges from Supreme Court appointments. [...] This act literally goes back to Confederation. Suffice to say, there's a need to update some of the provisions." Yet, he never introduced legislation or sought a reference prior to Marc Nadon's nomination in September, so what changed from "need to update" to no update happening at all? Indeed, the only legislative change to the Supreme Court Act introduced by the Minister occurred after the Nadon challenge was initiated, and this retroactive amendment to the Supreme Court Act was later found in part unconstitutional. 3)	Why does the Minister say the legal opinion of Justice Binnie was agreed in by Justice Charron and Professor Peter Hogg when the Privy Council says Charron was asked first? Justice Minister MacKay told Parliament, among many statements in this regard, "Colleagues, in the government's view, the eligibility of the federal court judges to fill any vacancy on the Supreme Court should not be in doubt. It is solidly supported by legal opinion prepared by respected former Supreme Court Justice Ian Binnie, which itself was supported by his former colleague, the Honourable Louise Charron, as well as by noted constitutional expert, Professor Peter Hogg." Yet, in an answer tabled in the House of Commons, "[T]he Privy Council Office (PCO) responds that it has been made public that the Government sought advice from Ms. Louise Charron in August 2013 and from Mr. lan Binnie and Professor Peter Hogg in September 2013." How would Charron know what Binnie wrote if she was asked first? Was she asked different questions on multiple occasions? Justices Charron and Binnie occupied Ontario seats on the Supreme Court, and Peter Hogg is Toronto-based. It would seem that on a question that is very much Quebec-focused (i.e. what constitutes eligibility for a Quebec seat on the Supreme Court) the government would seek the opinions of eminent Quebec jurists. To be fair, we do not know what other opinions the government sought. Indeed, perhaps it solicited a Quebec opinion but the result were unfavorable to its cause. Will the government provide a full accounting of the opinions it solicited -- from Quebecers and others -- particularly as these were financed at taxpayer expense? 5) For that matter, was everyone asked the same thing? The same PCO response mentioned above reveals the following costs paid for legal opinions "Ms. Charron- $4,325.00; Mr. Binnie- $6,605.00; Professor Hogg- $1,045.25." Without entering into an in-depth discussion of the cost of legal services, it would appear that perhaps the individuals in question had different queries before them. If this is the case, who was asked what, when, why and by whom? 6)	How long will Quebec continue to be under-represented at the Supreme Court of Canada? Regrettably, this side-show in which the Prime Minister is attacking the Chief Justice detracts as well from the real issue that remains: There is a vacancy on the Supreme Court of Canada. We must appreciate that on April 22 2013, Justice Morris Fish announced his retirement from the Court effective August 31. What steps will the Government take to fill the seat occupied by Justice Fish and by when? 7)	With this attack, is the government even thinking about the future process? The more this politicization of the process and its actors occurs, the more we risk detriment to a future process. If those consulted feel they cannot express themselves openly or freely -- and confidentially -- for fear of political backlash, might they be disinclined to participate in the process? Might we be setting up a system in which parliamentarians involved also do not feel bound by confidentiality agreements as it would seem the confidence of the Chief Justice was violated by the revealing of the contents of her call? We must think long-term and ask ourselves what are the implications of this behavior on the part of the government, not only on the top court and Chief Justice, but on the future processes of nomination. 8)	When the Minister said in the house "we followed, in fact, the most open and inclusive process for consultation ever undertaken by a government with respect to a Supreme Court appointment" was he criticizing his own Government's previous processes for not being open and inclusive enough? And was he disregarding the more open and inclusive process otherwise in place? The Harper government has appointed six judges (including Nadon) to the Supreme Court in five cycles (recall that Justices Moldaver and Karakatsanis were appointed together). If, by the minister's own words, the process resulting in Nadon was the most open and inclusive, what was wrong with the Conservative appointments processes that resulted in the nominations of Justices Rothstein, Wagner, Cromwell, Karakatsanis and Moldaver? Albeit somewhat posed in jest, it raises the query of what the government learned from this failed appointment and what it will do differently for next time. We do not know how the next judge will be selected as the minister has given little hint. Recalling that the province just had a change in government as a result of the provincial election, will Quebec's new Minister of Justice be consulted in relation to the outstanding Quebec vacancy? Will a verification of eligibility of a candidate become a part of the process that's made public in some way? At the risk of seeming self-serving, I disagree with the minister's assertion of his process being the most inclusive, as I feel the process I used in the 2005 nominations of Justices Charron and Abella was preferable. Specifically, the 2005 selection committee -- unlike now -- was not comprised entirely of MPs and -- again unlike now -- had no majority from any one party. The non-MPs in my process -- members of the bar, bench, academe, and even the public -- helped inform and balance the process by providing much-needed perspective absent any potential political lens. While moving forward it would be hoped that the Prime Minister would apologize to the Chief Justice for any suggestion of wrongdoing on her part -- and similarly hoped that the Justice Minister would acknowledge his own mistakes in this regard -- yet it is likely the government will not so do out of sheer stubbornness and fear for loss of political capital. The best that can be hoped, however, is that it learns from this experience and makes the necessary improvements for next time. To do so would benefit not just the top court, but all Canadians who continue to hold the nation's highest court in the highest esteem and with utmost respect. Irwin Cotler is the former Minister of Justice and Attorney General of Canada. He is a Professor of Law (Emeritus) at McGill University.